Something old, something new, nothing borrowed but there's blue! RL has been crazy lately, but I occasionally find the time to pop onto the computer to work, so I am not exaggerating when I say that it took me at least 4 months to get the 2nd style shown done lol. First, I want to introduce...no, scratch that. Re-introduce, the Danielle boots which were originally released at the Black & Blue fair, so many years ago. They have a new lease on life, complete with an entirely new build design as well as an extra color pallet! 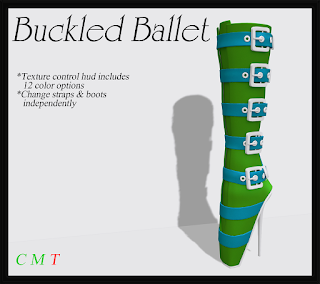 Also now available, are the Buckled Ballet boots. 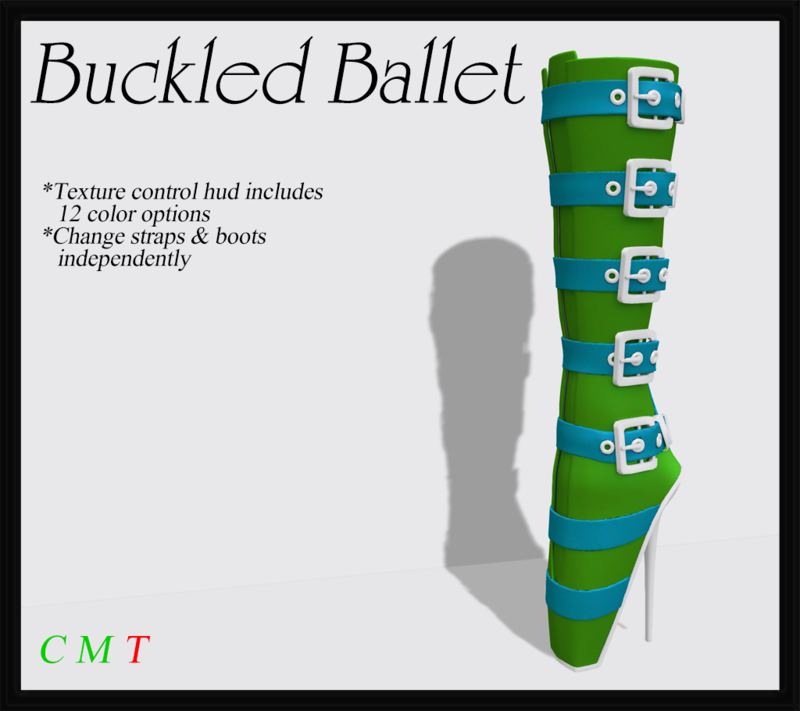 Both sets of boots are available in single colors, or in a scripted pack of 12 colors! They are also unrigged, which means that you can modify them if you need. Lastly, there is a new group gift available, so pop into the shop and grab it if you are a member, or join the group if you're not!